Weddings. Social Events. Corporate Gatherings. International Halal Buffet. Open To Public. CLICK HERE FOR ENQUIRY AND WE WILL CONTACT YOU TO DISCUSS YOUR EVENT REQUIREMENT. Aligned with the modern facade of the Orchid Country Club. 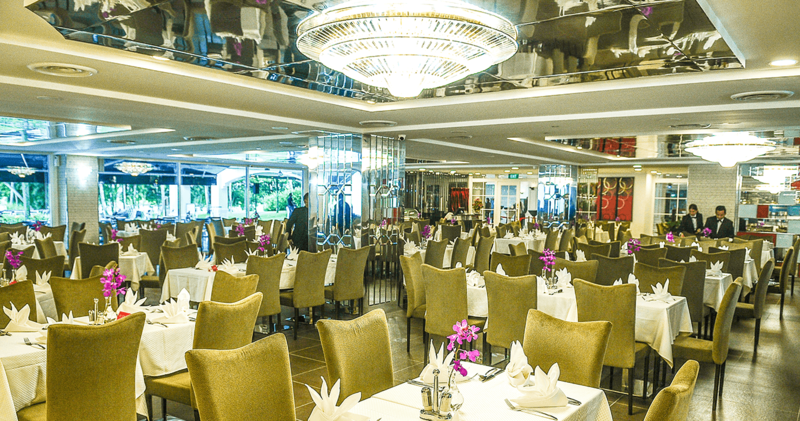 The restaurant and event venue serves Halal international cuisines for diners of all ages. Interiors will be furnished with elegantly designed architectural accents, further characterised by modern and exotic refinements. Soft ambient lighting and carefully handpicked decorative features will further compliment the restaurant’s ambience, beckoning diners to fully immerse into a fine dining experience. The seating area would be the perfect place for guests to relax and unwind after spending the day in the bustling city. The restaurant and event venue at the Orchid Country Club will be an inspiring dining venue, combining an eclectic atmosphere with a wide array of International Cuisines. The mission is to have not only a divine selection, but also an efficient and superior service for our guests. Customer’s satisfaction is our paramount objective. It will be a place of choice for all ages, families, the young and old regardless of gender. Royal Palm @ Orchid Country Club is an elegant halal-certified by MUIS event venue that is perfect for your special occasions. We already knew the event at Royal Palm will be well taken care of! We had loads of fun capturing crazy photos of ourselves! Thank you for being so accommodating this year again, and we look forward to working with you again next year. Our customers are always well taken care of when they are hosted by you. Thank you for the overall well-organised F&B set-up for my two days event in August. I’m very pleased with the service level! I would like to say a big thank your team for the wonderful service and execution during the dinner, the group had a very good time and are extremely satisfied with everything! We just returned from our honeymoon in Thailand and everything had been so hectic prior to that. On behalf of our family & friends, Krish & I would like to extend a big thank you to each and every staff at Royal Palm for making our wedding reception a successful one. Though our wedding was planned in a short span of one month, we must say everything pulled off well in the end. The buffet spread, needless to say was excellent and very well received by all of our guests. The ballroom and stage decorations were beautifully done, creating a very elegant & intimate atmosphere for the night. Special thanks to Suren & the Soundtracx team for the lovely set up. Service might have been a little slow, since it was one staff to four tables. But, that’s all fine. Overall, everyone of us really enjoyed ourselves that evening. Thank you for your great help, do convey our gratitude to Reynold for a job well done. Grand Experience Awaits. From Us. To You. 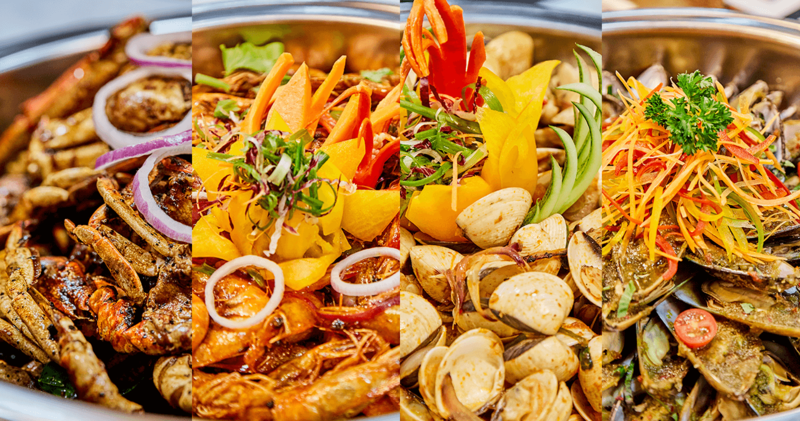 We offer the best Halal-certified international cuisines and service you can imagine. Use our contact us form if you got any question and our team will respond, thats for sure! We do care that your events runs smoothly and enjoyable! Royal Palm @ OCC offers resort style and relaxing ambience for your dining experience. Spacious restaurant with elegant furnishings with outdoor poolside dining. Serving food ranging from local, western, mediterranean, Indian, seafood on crushed ice and shell out. 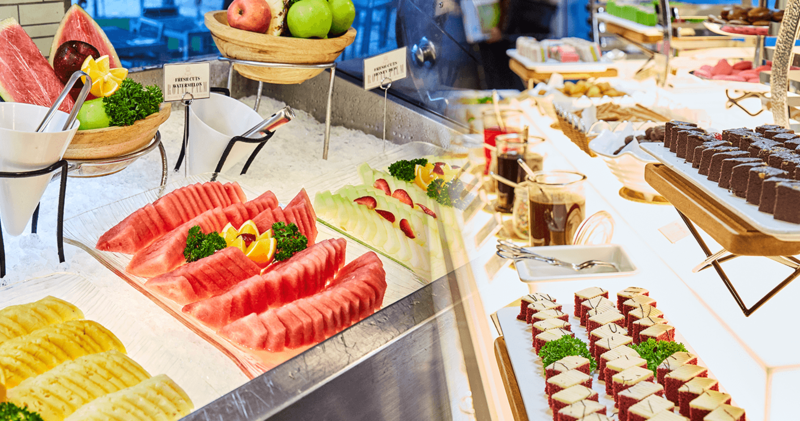 Ala carte menu, buffet lunch and dinner on weekends and hi tea daily are available daily. Free parking with shuttle service from Yishun MRT to Orchid Country Club daily every 15 minutes from 8 am to 12 midnight. 10 minutes away from Yishun MRT Station.